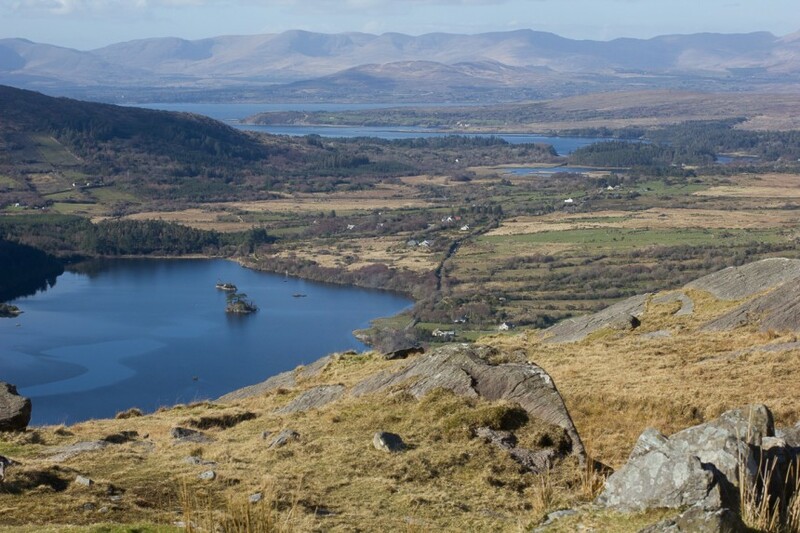 Taking its travellers through the scenic vistas of the Healy Pass, The Wild Atlantic Way, the Sheen Valley, and the authentic towns of the Beara Peninsula, The Ring of Beara is a glimpse into Ireland at its most wild. The driving route itself is a mere 137 kilometres, and can be driven in two hours if you’ve a mind to, but every mile has something to offer, with diversions and side roads and hidden gems all over. Start the morning with some traditional Irish scones at one of Kenmare’s many cafes. Explore Reenagross Park and the Kenmare Bay, with its marine life, kayaking, swimming and sailing. Then start your drive over the suspension bridge and onto the Beara Peninsula. There’s a lot to see in this small area. Stop off at the Uragh Stone Circle, see the horsetail waterfalls at Gleninchaquin, or do some fishing out on the Cloonee Lakes (requires a license, available in Kenmare). After that, you can take the coast road to Kilmacalogue Harbour, and stop for a bowl of seafood chowder and maybe a pint. Glanmore Lake is one of the mot stunning picturesque spots in Ireland. Make sure you take some pictures. 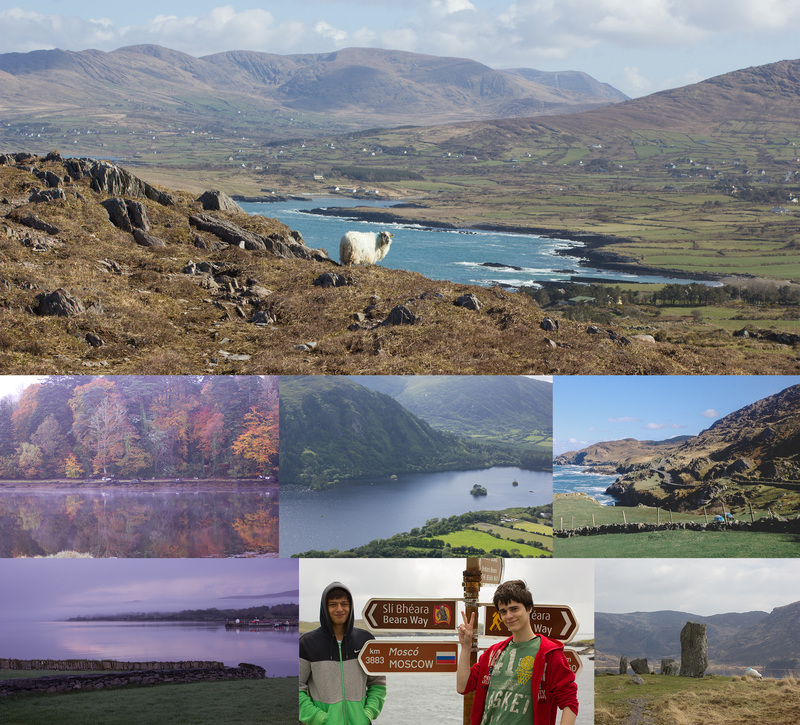 Then resume your journey to see the famous Healy Pass, a spectacular winding route to the south side of Beara. After coming down from the top of the Healy Pass drive towards Ardgroom, a traditional village steeped in history. Chat to local artists and craftspeople and drive towards Eyeries. The road here shrinks and twists until you’re at the very edge of the Peninsula and you come upon the charming village of Allihies. Visit the old Copper Mines, take some time to enjoy their amazing sandy beach, or detour towards Dursey Island, where you can take the Cable Car to explore. This area was home to the O’Sullivan Bere clan. Here you will find the ruins of Dunboy castle and other historical sites as well as the fishing town of Castletownberehaven. If you have the time, ferries run over to the hillwalker’s paradise of Bere Island. The glens around the village of Adrigole and the town of Glengarriff are a stunning natural haven. You can take a short ferry across to the botanical gardens at Garnish Island, with 15 hectares of plants and architecture to explore. There’s just one stop left, but its worth it. Head north over the spectacular Caha Pass, through tunnels hand-carved in the days before heavy machinery. Stop for some music, dancing, theatre and food at Molly Gallivan’s or visit the Bonane Heritage Park, and learn more about the ancient history of the area, before following the Sheen river down to the Kenmare Bay and back to Kenmare town, where you can enjoy a fantastic dinner at one of our award-winning restaurants, or some music at our authentic irish pubs. Its been a long day, and even with that, you’re certain to have missed quite a bit of what The Ring of Beara has to offer. Maybe a second day trip is in order?